While the world tech community is going gungho about Chrome and Firefox browsers, the Opera today 4 hours ago quietly launched the full fledged version of the Opera’s top-to-bottom redesign of the browser for Android. IF you remember it had launched this beta version codenamed Ice with its Webkit based browser. Now it has exited the beta stage to become a full fledged App on Google Play. The changes Opera has brought into this new offering are a light-coloured interface and redesigned the navigation bar, speed dial and favourites screens. The full version of the browser brings toggles to switch the navigation bar from top to bottom or vice versa. The navigation bar serves as a place to type in URLs or search keywords. Additionally, active tabs can now be taken to full screen mode easily. As per the company Opera can now wrap text better than any other browser in the market when users zoom in on those hard-to-read areas. The text rendering engine works without users having to scroll sideways every time they zoom in. Though Opera has retained WebKit/Chromium 24 engine but soon Opera may move to a new engine Blink. And Opera has promised an update as soon as Blink is available. Other features of the newly launched browser include a content discovery feature that can be accessed by swiping right from the home screen. The Discover feature makes the browser a social and news feed as well. And you can rely on the famed Opera data compression for faster loading and relatively lower bills while roaming. Download the App from Google Play now. 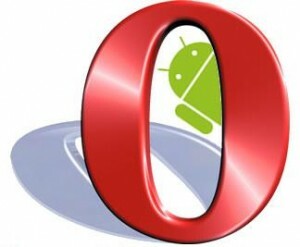 Post in your comments on this brand new browser from Opera, though beta users may have used it for some time now.